An accomplished Chef and authority on the fine art of Italian living, Deborah Dal Fovo mastered her culinary education in Italian food and wine hands-on from some of Italy’s finest and most renowned chefs, winemakers, food producers and home cooks. Her formal culinary studies include classic training at French Master Chef Roger Vergé’s legendary cooking school in Mougins, France. 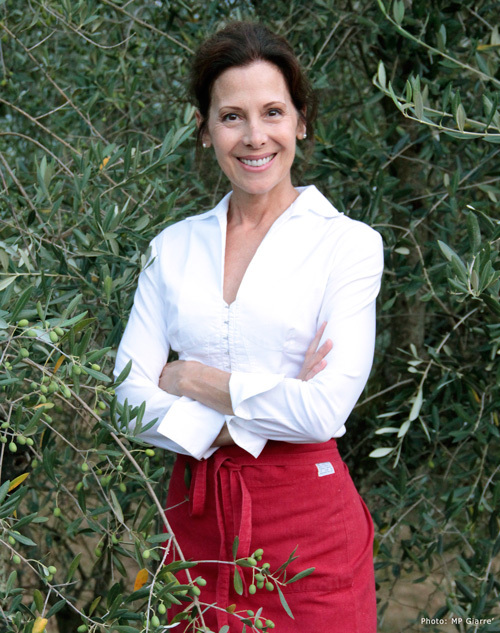 Deborah’s passion for food and cooking began at a young age in her Northern Italian-American household and inspired her to return to family origins in Italy where she lived in both Milan and Tuscany for 20 years while traveling extensively throughout the country cultivating its diverse regional flavors and culinary traditions. A dual citizen of Italy and the United States, Deborah now lives primarily in Northern California and shares her vast Italian experience as a Private Chef, Cooking Instructor, Italian Lifestyle expert and an enthusiastic Italian ambassador of good taste. Deborah Dal Fovo teaches authentic Italian cooking classes at Draeger’s, Ramekins, Relish, Sur la Table, and VIVA cooking schools and at her own private school in San Francisco and Marin County. Deborah appears frequently on TV and DVD cooking shows including ‘View from the Bay’ and ‘KRON4 Weekend News’ and is currently writing a cookbook and developing her own cooking show concept.